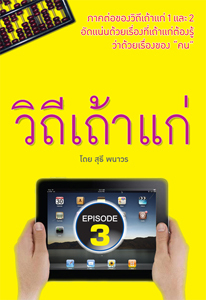 ‘Entrepreneur’ became known to Thai people, especially the young generation, only less than a decade. Most Thai people dream of having one’s own business but do not know how, when, what to start, and even worse, how to run it. The three-book series are a summary of cases faced by business owners that readers can apply to their own circumstance.